Fifteen years ago, the Retro 51 team took a trip to an old Italian fishing village where they learned of a wonderful dish called Cioppino which inspired a new collection that quickly became a fan favorite. Then, sadly, the Cioppino went away; out of production. Fortunately for all of us, Retro managed to unearth the original seashell barrels and have cooked up a fresh new batch! The Cioppino Rose Gold Edition features heavily plated rose gold accents that bring a new level of sophistication to the Tornado collection. The barrels, made from genuine seashells, are painstakingly crafted to transform the rough shell into a perfectly fitted piece that radiates color and iridescence. 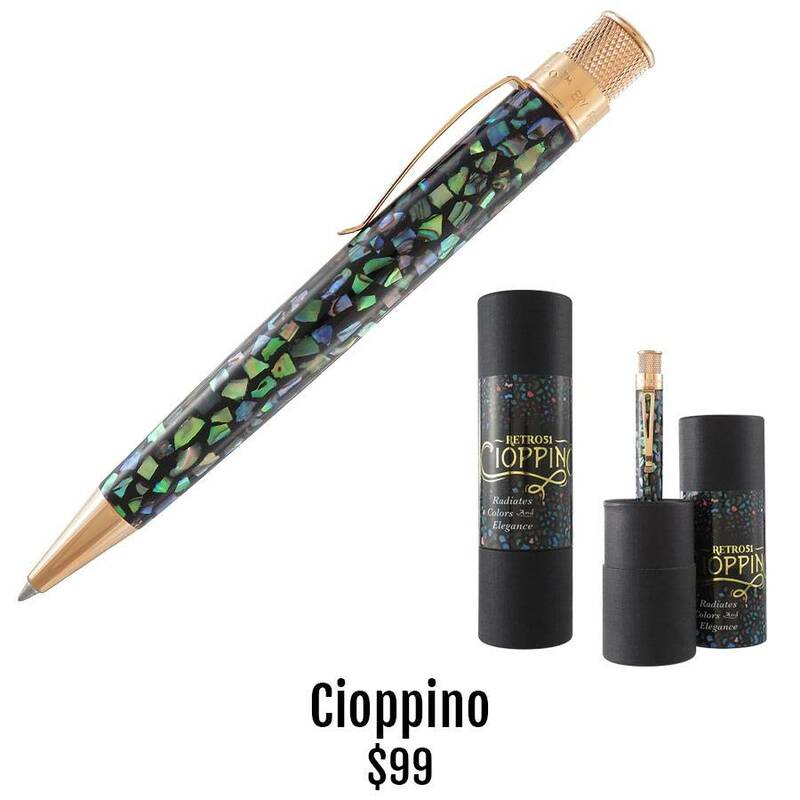 This timeless capless rollerball features Retro 51’s signature knurled twist top and can easily convert to a ball pen with a refill change to any Standard Parker Style refill. Color and point sizes choices abound. Catch this striking new version of the Cioppino today. Who knows how long this season will last?